By Nick Ostdick. Apr 7, 2017. 9:00 AM. Everyone thinks they understand the value of a first edition. The first printing of a book automatically makes it rare, right? Because X or Y novel is a first run, it’s immediately valuable and worthy of collecting, yes? While this is certainly the case with a number of books throughout the literary landscape, first editions are not necessarily sought after by collectors just because they’re the first run. In fact, when you think about it, every book ever published has a first edition printing, but some were not lucky enough to see a second or third. One factor that truly makes a book rare, valuable, and the apple of a collector’s eye is the combination of a first edition and a first book—that is, the first printing of an author’s first novel, usually an author of great regard or with a long, profound literary career. These literary Easter eggs are usually printed in small quantities—remember: we’re talking about first novels from predominantly debut authors—and are often hardcover and ornate or individualized in cover design as subsequent printings tend to reduce artistic quality for mass reproduction. By the time these authors publish their second, third, or fourth books, first print runs usually increase based on demand, which makes the first editions of these first novels even more rare and valuable. It’s an interesting confluence of elements—the right book, the right author, the right time. But for serious and novice book collectors alike, the first edition of first books represent something of a white whale when it comes to rarity and value. To help illustrate the importance of first editions of first books, here are four first books whose first editions are considered top-tier finds for book collectors the world over. Ian Fleming published his debut James Bond novel in April 1953 to rave reviews and brisk sales. 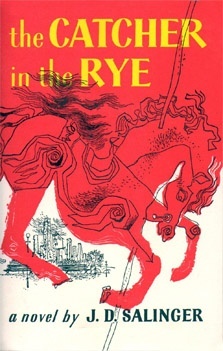 The first printing of the novel consisted of about 4,000 copies and the novel sold through its first printing in less than one month; though many of these first edition copies were sent to libraries across England, a 1955 paperback release of the novel sold more than 41,000 copies in one year. 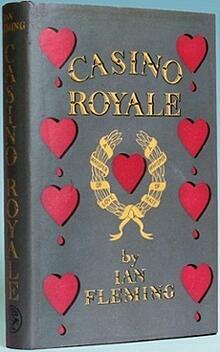 Casino Royale was the first of Fleming’s 12 Bond novels. For collectors, the sheer feat of acquiring a first edition of Casino Royale should not be understated. It is arguably one of the most highly-collectible Bond novels, and copies in good condition can range in value from $10,000 to $100,000, not including special inscriptions or other markings. Since Fleming’s death in 1964, eight other authors have continued the Bond series through novels and novelizations of the 007 film series, though none have captured audiences quite like Fleming’s original tales. More than 60 years on from its publication, J.D, Salinger’s Catcher in the Rye continues to be the prototypical novel for the lost, disenfranchised, and wayward youth of America. The story of Holden Caulfield and his angst-ridden exploits through New York City and beyond are read by more than 1 million people each year worldwide, with total sales reaching nearly 65 million books across the globe. Though Salinger famously became a recluse following the publication and public reaction to the novel, he published a handful of other book-length works during his life, most notably the short story collection, Nine Stories (1953). His debut novel remains his most popular and widely read, and first editions in pristine condition often fetch more than $40,000 in online and brick-and-mortar auction settings. It may be hard to believe given the fervor with which author J.K. Rowling’s boy wizard Harry Potter took the literary world by storm, but Harry Potter and the Philosopher’s Stone, the first in the Potter series, only saw a U.K. first edition run of 500 copies. Released in 1997, roughly 300 of these copies were distributed to libraries, leaving even fewer copies for purchase on the open market. Most, if not all, of these first U.K. editions are now in the hands of collectors and are considered one of the more prized titles for collection in recent literary history, particularly due to the title change when the novel was reprinted for American audiences—publishers believed a novel with the word ‘philosopher’ in the title would be a hard sell for U.S. readers. Depending on condition, prices for first U.K. editions of the Philosopher’s Stone can range from $40,000 to $55,000. 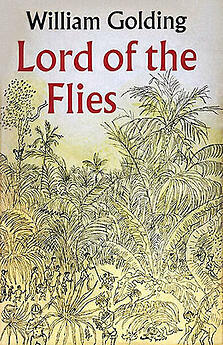 William Golding’s 1954 novel often finds itself on lists of banned books across the globe for its portrait of chaos, disorder, and cruelty amongst the novel’s young central characters; however, some argue the novel’s shocking storyline—at least shocking for 1954—helped propel the book to bestseller status across the globe. The novel has since been translated into dozens of languages, sold millions of copies worldwide, and helped Golding win a Nobel Prize for Literature in 1983. While Golding continued to write long after the publication of his debut novel, no piece of writing achieved the success or acclaim of Lord of Flies, making first editions extremely valuable to collectors. Copies in good condition can fetch more than $30,000 in auction settings worldwide.